“Eternal Virus,” the opening scene of Steve Stanton’s new novel, Retribution, is now published by Ray Gun Revival, and freely available online. Another excerpt, “Hedge of Protection,” is now published in print in On Spec #85, the Canadian Magazine of the Fantastic, along with a Feature Author Interview by Roberta Laurie. 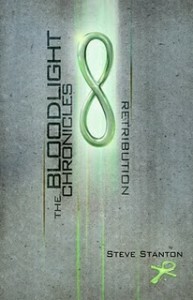 The complete novel, The Bloodlight Chronicles: Retribution is published by ECW Press, and now available in bookstores and online retailers near and far.